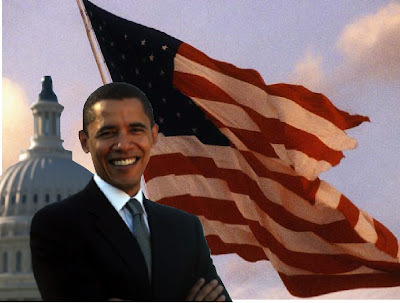 Just a few minutes ago, Senator Barack Obama was elected the 44th President of the United States of America. This is truly a significant moment in history. Whether or not he was your personal choice, the election of a black president says something about how far this country has come. Make no mistake we have a long way to go, but when I was growing up it was the height of the civil rights movement and this event was unimaginable. Let's stand behind our new president and hope for a better future. As I type this Senator McCain is giving his concession speech and telling the story of the controversy created by Booker T. Washington's invitation to the White House years ago. Right now Bernice King, daughter of Martin Luther King Jr. is expressing her thoughts on this occasion. Like I said, we've come a long way.